Thunderbolt 3 and USB Type-C promised so much: Blazingly fast file transfers (40 Gbit/s), external GPUs, universal chargers using USB Power Delivery and so much more. Despite the seemingly universal hate the latest Macbooks have received, I’ve been quite pleased to see Apple and Google going all-in on these new technologies. After all, I’m currently charging my Dell XPS 15 using an Apple power brick. The same charger can also top up my Google Pixel and my Yi 4K+. The single port future can’t come quickly enough for me. 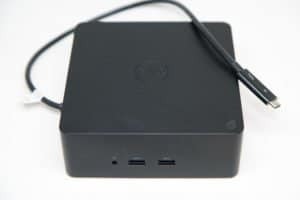 Besides charging, the Thunderbolt 3 port on my Dell XPS 15 is mainly used for one thing: To connect to the Dell Thunderbolt Dock (TB16). Using the dock I can connect all of my peripherals I have set up in my home-office with just a single cable. No separate USB hubs or chargers and no awkward docking station needed. One cable does it all. A seemingly perfect setup. There’s some confusion over the differences between USB Type-C and Thunderbolt 3. 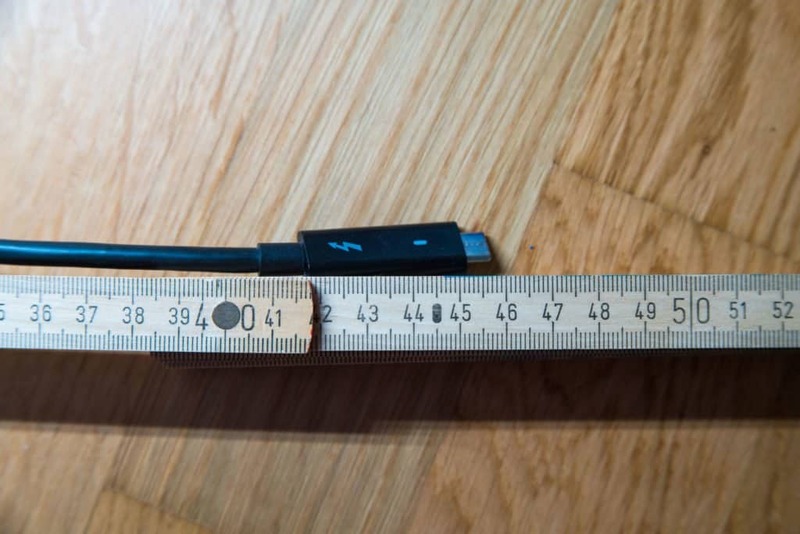 Think of USB Type-C as just a connector or cable. It’ll replace the old school USB Type-A port on your PC and laptop over the coming years. In fact, many newer notebooks, like the MacBook, aren’t even equipped with the older USB Type-A ports anymore. Because it’s a lot smaller than older USB types, it’ll also be the default port on just about any electronic devices. Be it cameras, phones or headphones. At some point everything will be equipped with a USB Type-C port. A big advantage USB Type-C brings with it is USB Power Delivery, allowing for up to 100W of power to pass through the cable. The hope many share with me is that we’ll be able to top up all the chargeable devices we own using the same cable. USB Type-C also supports a number of so called alternate modes. This allows a Type-C port to also act as a DisplayPort, HDMI port or Thunderbolt 3 port. Thunderbolt 3 brings the the Thunderbolt technology to USB. Thunderbolt has long been winning the transfer-speed race but hasn’t seen as wide an adaption as USB. Thunderbolt 3 is still four times faster than the latest of USB technology. This makes Thunderbolt 3 the perfect port for docks. Everything, including video and power, can be delivered to a notebook with just a single cable. 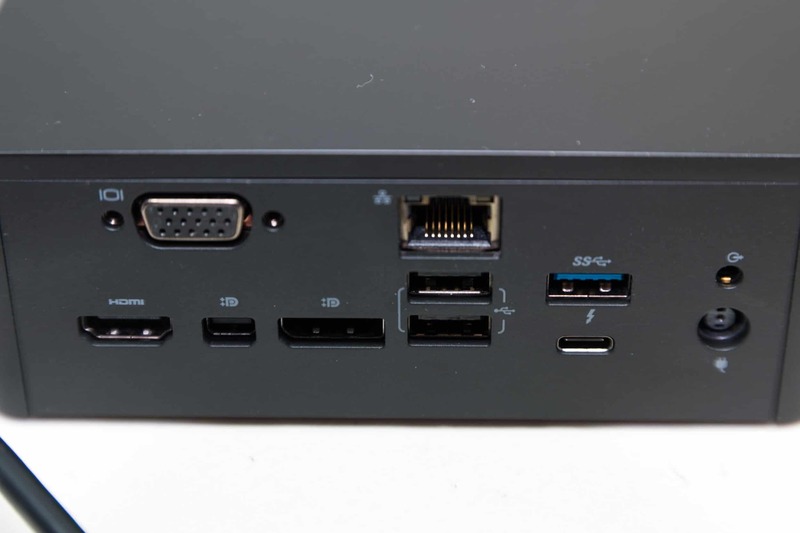 Thunderbolt 3 capable USB Type-C ports are marked with a small lightning bolt. Thanks to USB Power Delivery (PD), there is no need for a charger when connected to the TB16. Having a home office while at the same time staying mobile has never been easier. Simply unplug the single Thunderbolt 3 cable and you’re ready to go. The TB16 allows the connection of two 4K displays at 60Hz. My XPS 15 (9560) is well known to have a rather shoddy WiFi card (which could be replaced), thanks to the TB16’s ethernet I’m finally connected to the network without any dropouts. There’s not much to say about the advantages of owning this dock. 95% of the time it does what it should. I’ve permanently got an external keyboard, my Wacom Tablet, a massive external drive array and a USB Type-A to Type-C for my external SSD connected. 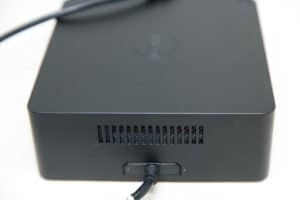 The ethernet port allows for a stable connection to my network. The TB16 isn’t too large and I like the simple design. I don’t need anything more flashy than the black box it is. Sadly though 95% isn’t all of the time. The issues I’ve had and am having will be discussed shortly. After the disaster that was the TB15 many were holding off purchasing another Thunderbolt dock from Dell. Me included. Still, I bit the bullet and bought the TB16. So, let’s see why this isn’t the perfect Thunderbolt 3 dock. As mentioned, Dell has seemingly had a few issues with previous Thunderbolt docks. My TB16 runs as expected for the most parts. In the past there has been a lack of quality control when it comes to updates and I would definitely recommend checking out the Dell forums before every BIOS update. One such update somehow disabled all the USB ports on my TB16, rendering it useless for more than a week. My TB16 has a rather strange quirk when my XPS 15 is under heavy load. I haven’t read of anyone else experiencing this, so it could just be mine. At time’s, when I’m running multiple applications such as Photoshop and Premiere Pro and the XPS 15 is struggling, my keyboard (attached via one of the USB 2.0 ports to the TB16) loses its connection. The connection appears to be dead and is only resolved by unplugging the keyboard and plugging it in again. Speaking of devices under heavy load: Buyers should be aware that the TB16 has got a fan and does need to be actively cooled. You’ll hear that fan spinning, even when your notebook is silent. Despite seemingly being littered with ports, I can’t help but feel that the TB16 could have fit in even more. Having just three USB 3.0 ports can be a bit slim when working with multiple external drives. 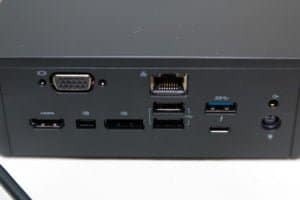 I also would’ve loved to have another couple of Thunderbolt 3/USB Type-C ports on the front of the unit. Another port I would’ve appreciated is a seperate 3.5 mm microphone input. As things are, you’re forced to use a headset with a combined audio in/out jack. Last but not least, I absolutely hate one specific decision that was taken when designing the TB16. The cable which connects your notebook to the dock is rather short and located on the TB16’s left side. However the XPS 15’s Thunderbolt 3 port is also located on the notebooks left side. Meaning the TB16 and the XPS15 need to be located close to each other or you’re forced to use the TB16 back to front. Newer XPS models with multiple Thunderbolt 3 ports won’t have this problem. But for me and anyone else using an older XPS 15 or XPS 13 this can be a right bother. With the setup I’ve got, the cable barely reaches. Despite its faults, I’ve come to appreciate the TB16. It’s perfect for my home office setup and the issues I’ve mentioned are not something I struggle with on a daily basis. If I could choose, I’d still prefer a dock that stays silent and had a few more ports. The TB16 will do for now and the foreseeable future. Being able to plug in a single cable and start working is so much easier than faffing around with USB docks and display connectors. One cable for data, video, power and networking. Gigabit Ethernet for a more stable network connection compared to WiFi. Wake-on-LAN (WOL) from S3, S4 or S5 sleep states. The Thunderbolt 3 cable is positioned on the wrong side of the unit. No separate microphone in port. The unit is noticeably loud.